Welcome to our newly updated list of the top rated dive masks on the market for 2019! We have collaborated with fellow divers from around the world to review and recommend some strong contenders for what we consider to be the best scuba masks for scuba divers of any skill level and budget. Besides a dive computer, having your own personal scuba mask is one of the best investments a diver can make. Having a mask that fits properly, does not fog and provides a great field of view can dramatically increase your enjoyment level on any dive. No one likes to be having to constantly clear or de-fog their dive mask, and we took that fact into consideration when testing out these masks. Thanks to the popularity of our 2018 list, we completely revamped and updated our scuba diving mask reviews for this year, with the best and most popular new masks out there. We hope our Scuba Mask buyers guide helps you find the perfect diving mask for all of your underwater adventures! If you are into snorkeling, be sure to check out our page of the best snorkel gear! Find the best scuba mask for you! The Tusa Freedom HD is one of the best scuba masks on the market at the moment. 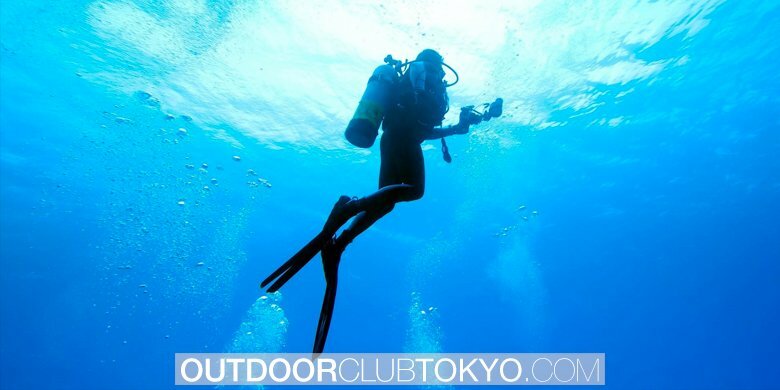 Extremely popular among scuba divers since it’s release thanks to the combination of an extra soft silicone skirt and a massive single lens design. This is one dive mask that lives up to the name, with a huge field of view and an extremely easy to adjust strap buckle system. The nose pocket also has a bit of extra added room which is always a nice touch, and we found the overall construction to be high quality. This is one of the best scuba masks we would recommend any diver from beginner to pro check out, and it comes in at a price range that won’t leave you broke. One of the best scuba masks from ScubaPro, the Solo has a nice large single lens, and a slightly larger silicone skirt. Perhaps this is part of the reason this is the best dive mask on this list for those with facial hair. Anyone with a beard or mustache knows how annoying the leaks caused by facial hair can be, and we are happy to say it really was not an issue with this diving mask. High quality build materials round out this package as a great choice for divers looking for a high end scuba mask to invest in. For divers on a budget, the Phantom Aquatics panoramic is possibly the best scuba mask when it comes to how far your dollar will go. The multi-lens design opens up your peripheral vision and increases your field of view quite dramatically. You can also find it in an awesome bundle with a pretty decent dry snorkel for those looking for the best value. The silicone is soft and high quality, and the strap buckle system was strong and sturdy in the 2 models we had on hand for testing. Anyone new to diving looking to get all their equipment on a budget should definitely take a look at the Phantom Aquatics panoramic. 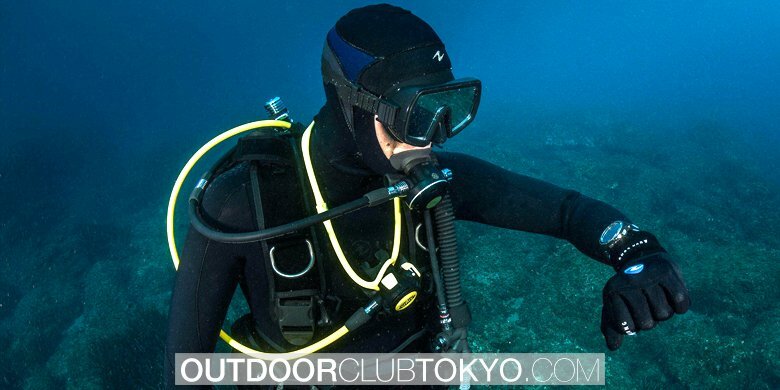 The Mares X-Vision scuba mask has one of the best vertical ranges of vision on the market. The huge teardrop style lenses offer 20% more visibility when compared to other masks of similar design, it’s pretty amazing. This makes small things like being able to see your BCD clasps easily or checking your gauges effortless. Most action when scuba diving happens at eye level or below, so this extended field of view is really nice. The silicone skirt is also shaped with the facial anatomy in mind, and is more form fitting than most masks we have tested out, this makes it very comfortable for both male and female faces. The price range puts it in the intermediate level or high end entry level in terms of cost, but the build quality is awesome so it should last you a lifetime with proper care. One of the best dive masks on the market in 2018. The second TUSA mask on our best scuba mask list, this design is a little different. The 3 window design technically makes it a panoramic, but the domed side windows make it so the peripheral view is slightly expanded and lets in more light. Because of the expanded lens, the frame size is reduced and helps the mask sit closer to the face. The buckle system on the mask strap makes adjustment easy and the silicone is extremely soft, similar to the HD freedom model, and seals great against your face. Anyone looking for the best panoramic scuba diving mask, look no further! ScubaPro really knocked it outta the park with this high end scuba mask. It features 2 huge lenses that offer a large field of view, especially downwards. 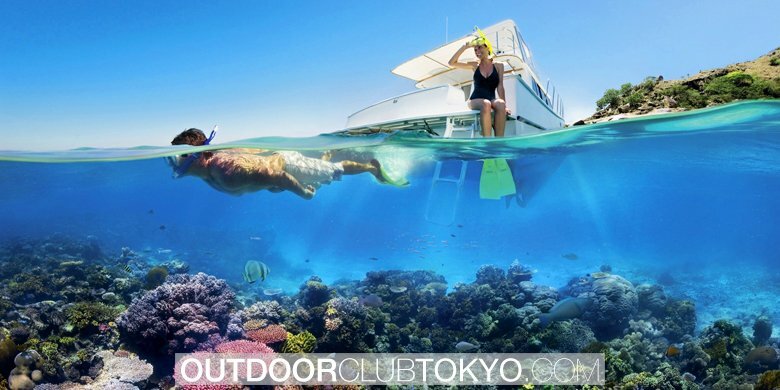 The teardrop lens design makes enjoying the views of the reef below you extremely easy. Like most ScubaPro gear, this diving mask was one of the more popular choices among dive professionals we interviewed for this list. The Spectra’s construction is extremely high quality, and while a bit more pricey than others on this list, investing in high quality scuba gear is always a good choice for serious divers. This dive mask comes highly recommended by almost every scuba diving publication out there. If you are looking for quite possibly the best scuba mask money can buy, then look no further than the Atomic Aquatics Venom. If money is no object or you really want to splurge on the best scuba gear, this mask is amazing. The single lens is HUGE, and offers an extremely wide field of view. The overall build quality is rock solid and these are some of the easiest buckles to use when it comes to adjusting the strap. It would take the top spot on our list if not for the high end price, making it less attractive to the average divers. This is a great choice for divemasters and scuba instructors who use their gear on a daily basis. Another strong contender for the title of best scuba mask, the Atomic Aquatics Frameless dive mask has many of the awesome features of the venom mask listed above, but with a more compact design. This makes it a great low volume scuba mask that is also amazing for free diving. The mask rests close to the face thanks to the smaller skirt, which some divers really enjoy, as it increases the field of view quite a bit. A very light weight mask, that while the price range tends to be more intermediate to pro level, everyone who we have talked to who has had a chance to try it out really loved the Atomic Aquatics Frameless. The next evolution of the classic Cressi Big eyes mask, the Cressi Matrix has the same large teardrop style lenses with a more comfortable silicone skirt design. The double band mask strap helps to evenly distribute the pressure around your face, which means less leaks. The frame is rather slim and made from a high density plastic, which helps it remain strong, even with the smaller overall frame size. The nose pocket on this scuba mask is quite roomy, so anyone with a larger nose will find this mask extra comfortable compared to standard rental masks. The Matrix is definitely one of the best scuba masks from Cressi. Another good option for those who are fans of panoramic style scuba masks, this Cressi mask is a great option for those who want to stick to budget but still get a high quality scuba mask. The mask strap is easily adjustable thanks to the large chunky buttons, so you won’t be fighting with the strap to get it to fit properly. The field of view is great, with only a minor bit of lens distortion on the corner seams, which is unavoidable in panoramic designs such as these. The silicone is high quality and soft. Thanks to the price point we use these masks with our students, which means they get to use a decent quality mask instead of a uncomfortable rental, and we can really use and abuse them. Possibly the best scuba mask for those looking to save a few bucks but still get a good piece of scuba gear! The Cressi Panoramic also comes bundled with a pretty good dry snorkel for that low price point, an added bonus. This is probably the number 1 concern when a diver purchases a new scuba mask, they all tend to be super foggy at first. This is usually caused by a thin layer of protective coating that is applied during the manufacturing process to prevent scratching and give the lens some extra shine. This will usually be worn off after several dive trips, but you can use some Anti-Fog spray before each dive to solve the problem, some divers use hand soap which also works. Personally we just carry a small spray bottle in our dive bag but it is up to you! There also some more “ghetto” tricks you can do depending on how comfortable you are “abusing” your brand new scuba mask. To most seasoned divers these are the first thing they will do to a new mask. If you are unsure about these tricks yourself, ask any divemaster to do them for you at your next visit to a dive shop and they will happily help you out. The first and most common is the lighter trick.​ Basically you use a cigarette lighter to quickly run it back and forth over the lens to burn off the chemical layer mentioned above. Simply hold the glass above the flame and smoothly move the lighter around in a figure 8 shape, as long as you do not stop the movement and hold it in a single place too long there will be no damage/melting of your mask. Many new mask owners freak out when they see this done for the first time, but it is an extremely common and effective way of keeping your mask fog free from day one. Make sure you use this trick only if the lenses are made from tempered glass, never plastic! When looking for a comfortable scuba mask, you should ideally look for a mask with a skirt made from silicone, not rubber as it is far softer, more durable and will not pull uncomfortably against any facial hair some divers have. A great way to test the fit is if you put the scuba mask on your face without the strap behind your head and breathe in through your nose slightly. If the mask stays in place and there is no air coming in from around the seal, you have found a winner. A scuba mask should be comfortable on the underside of your nose as well and the lens should not press directly against your forehead, leaving that funny red mark many divers end up with. When taking the quality of a scuba mask into account, you probably want to go with a recognizable brand name that consistently puts out quality equipment, like the manufacturers on our list. You want a dive mask that will last you a long time, and hold up to travel and the vigorous wear and tear that tends to occur on most dive boats. Luckily there are scuba masks out there for most budgets and as long as you avoid the cheap knock-offs you should be good to go!